How quickly our front porch nest scene moved from the wrens’ nest building to those beautiful little spotted eggs to incubation and hatching. Hatchling to nestling to fledgling bird, now this one last photo captured the moment before down wisps waved in the wind and became flight feathering. 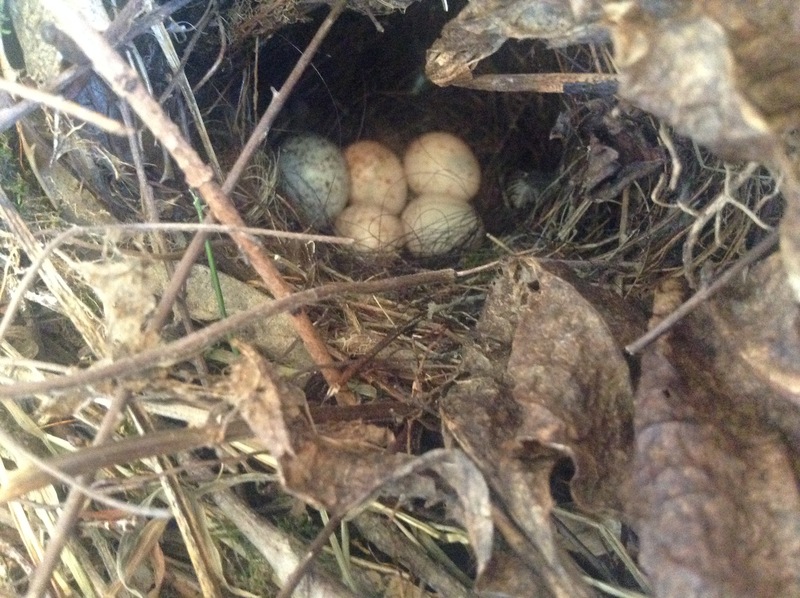 The next time I saw the nest the tiny beaked face lifted above the little scraps of wings, tumbled over the edge and in one scurry disappeared into my Katy Ruellia at the porch edge. Now I only see a still, silent nest although I hear wren song in the trees. Is that a triumphant note I hear? Until nest time next year? Words in these lines from William Henry Channing create a leit motif as we slow down into the pace and space of summer. 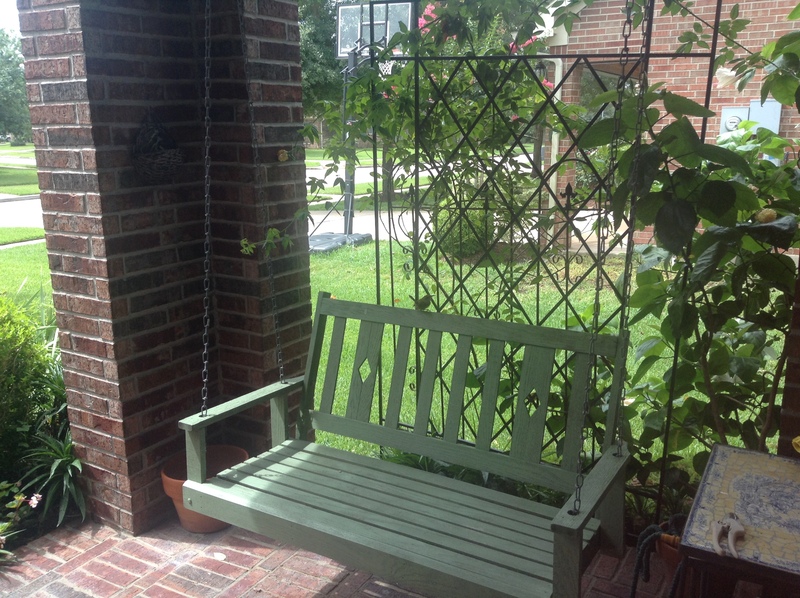 The song of this tiny feathered friend perched on the back of our porch swing calls me to stop and look and listen. And sing. The past weeks have been full of unknowns and discovery – rivers rising, flooding, storms, fevers, 911 call, uncertain hospital days, alongside nest watching, eggs hatching, and bird watching. Contrasts of hospital and home, of chaos and peace, of anxiety and trust, of leaving and staying. 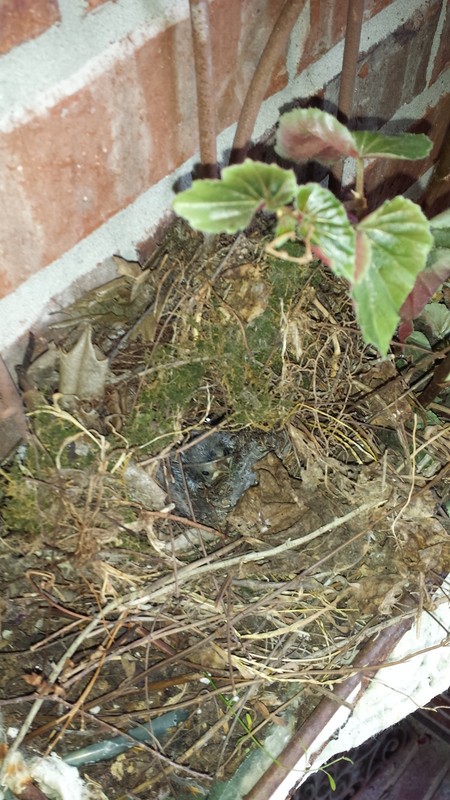 Each trip to and from the hospital I checked on the tiny nest by the door. Over the weekend after I brought my husband home, he discovered a new scene. 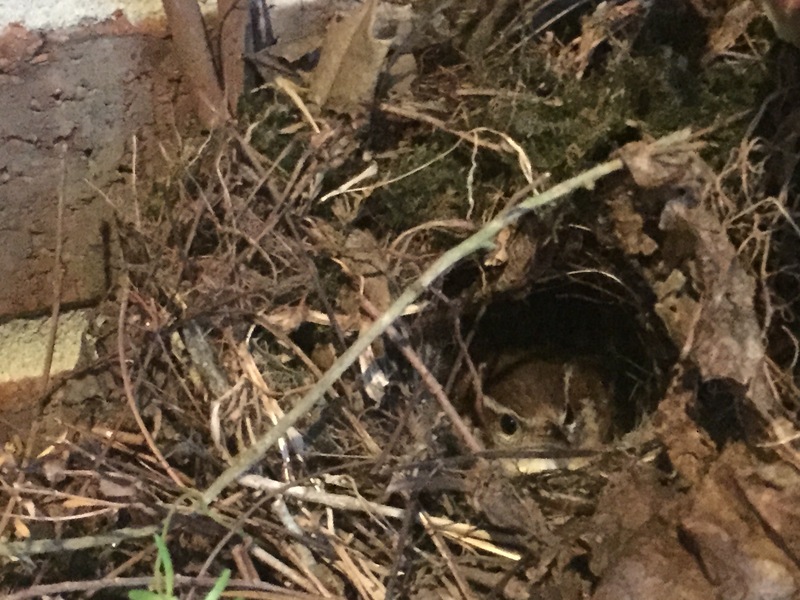 I thought our front porch nest of eggs was home to a House Wren, but after my son was able to get this photograph, we see that her rakish white eyebrows declare she is a Carolina Wren. Mama bird now has babies to feed, so she is flying off for food finding forays. 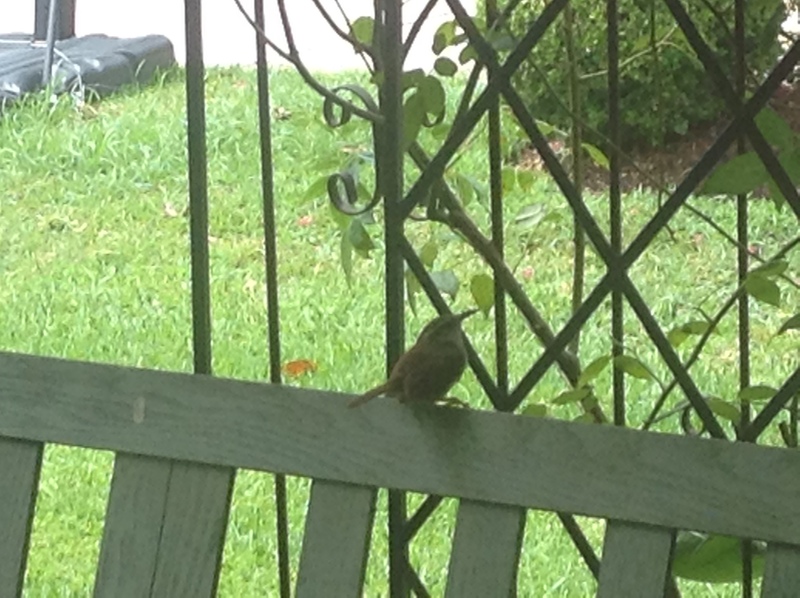 Since Carolina Wrens mate for life, and both male and female take care of nestlings, we are watching for both and enjoying the songs. shelter for five dappled eggs.